Flying is a different way to look at the world. For much of it (passing through security, waiting at the gate, boarding etc.) 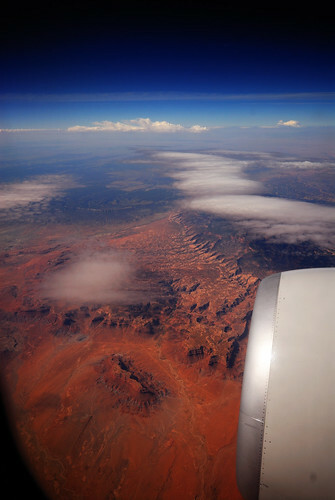 I wish I could close my eyes and make it go away, but the view through the window sometimes redeems the whole flight. But even that is not for certain. The clouds may present a featureless prarie or snowfield hiding the world below. Flying out of San Francisco this is often the case as cool fog covers everything. Other times a dull haze washes everything out. Some days though the landscape above and the landscape below each present themselves and make that window seat worthwhile. The previous article is Iterating through Microsoft Project Subprojects. The next article is Virtual Machines and Project 2010.